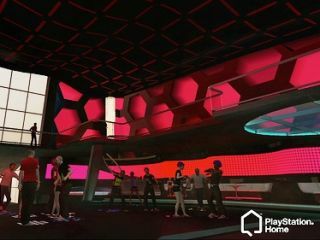 Sony has revealed a new place for all the cool people who play SingStar to hang out – and it can be found on its PlayStation Home online portal. The SingStar rooms were first revealed at Gamescon in Germany last week, but now Sony has announced that the feature is being rolled out to the whole of Europe 24 September. "When you strut into The SingStar Rooms the dancefloor will react to the shapes you throw and the type of music will change based on what style the majority of avatars are dancing to. "Therefore, if you all do the 'Rock' dance, the music will take a rockier edge." Yes, your read it right, Sony used the words "strut", "throw shapes" and "rockier" to describe its SingStar rooms. Despite coming across like an uncle trying to be a bit cool, the blog does have some nice pictures of how the rooms will look. It also reveals that there's an interactive jukebox, where you can vote for your favourite song ('Total Eclipse Of The Heart', obviously) and win some Home-style awards. Better get your dancing shoes ready for September, then.